The MEA said the Malawian government had put out a strongly-worded statement highlighting the role which Mahatma Gandhi and India played in the development of Africa. 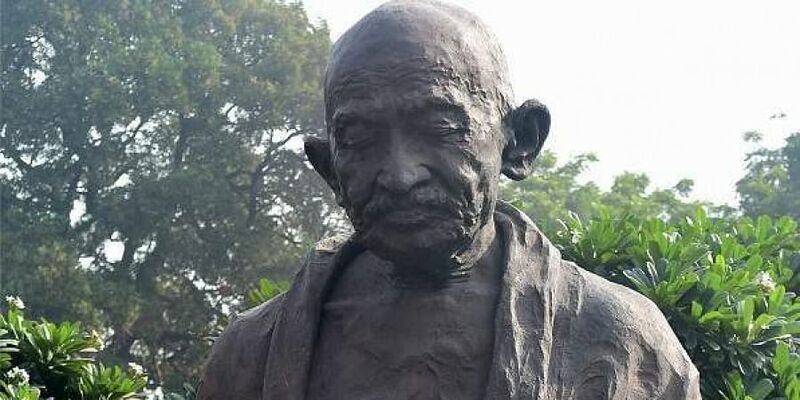 NEW DELHI: The unveiling of Mahatma Gandhi's bust by Vice President M Venkaiah Naidu during his visit to Malawi would go ahead as scheduled, the Ministry of External Affairs said Thursday, terming as "incorrect" a media report that said a local court had ordered halting of work on the statue. Ministry of External Affairs (MEA) spokesperson Raveesh Kumar, while responding to a question on the media report that a high court in Malawi stopped the inauguration of Mahatma Gandhi's bust, said the Malawian government had put out a strongly-worded statement highlighting the role which Mahatma Gandhi and India played in the development of Africa. The report had claimed that campaigners in Malawi won an injunction on Wednesday to temporarily halt work on the bust of Mahatma Gandhi. "This is an incorrect report. I just had a word with the people who are there travelling with the Vice President. There was a section, a group of people who had made a certain argument, that argument has been dismissed very strongly by the government of Malawi. They (Malawian government) have put out a very strong statement and they have highlighted the role which Mahatma Gandhi and India had played in the development of Africa," he said. Kumar added that the installation of Mahatma Gandhi's bust would go ahead. The vice president is on a three-nation visit to Botswana, Zimbabwe and Malawi, during which he will hold talks with the top leaders of these African countries, meet business groups and interact with the Indian diaspora.